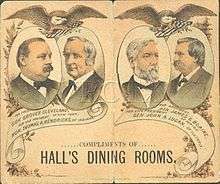 The United States presidential election of 1884 was the 25th quadrennial presidential election, held on Tuesday, November 4, 1884. It saw the first election of a Democrat as President of the United States since the election of 1856. The campaign was marred by exceptional political acrimony and personal invective. 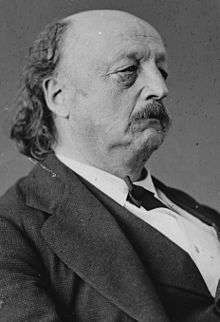 New York Governor Grover Cleveland narrowly defeated Republican former United States Senator James G. Blaine of Maine to break the longest losing streak for any major party in American political history: six consecutive presidential elections. New York decided the election, awarding Governor Cleveland the state's 36 electors by a margin of just 1,047 votes  out of 1,171,312 cast. Alson Streeter was the temporary chairman and John F. Henry was the permanent chairmen. Source: US President - A-M Convention. Our Campaigns. (February 14, 2012). 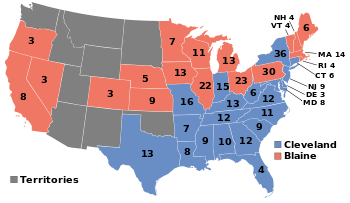 Interestingly however, even if Fusion were carried out in every state in which it were considered possible (Indiana, Nebraska, Wisconsin, Illinois), it would not have changed the end result, none of the states flipping from Blaine to Cleveland, with Butler winning a single electoral vote from Indiana. The American Prohibition Party held its national convention in the YMCA building in Chicago, Illinois. There were 150 delegates, including many non-voting delegates. The party sought to merge the reform movements of anti-masonry, prohibition, anti-polygamy, and direct election of the president into a new party. Jonathan Blanchard was a major figure within the party. 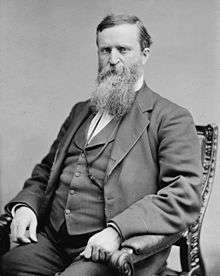 He traveled throughout northern states in the spring and gave an address entitled "The American Party - Its Principles and Its Claims." Source: US President - P Convention. Our Campaigns. (February 11, 2012). 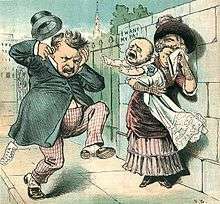 The issue of personal character was paramount in the 1884 campaign. 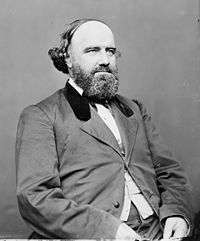 Blaine had been prevented from getting the Republican presidential nomination during the previous two elections because of the stigma of the "Mulligan letters": in 1876, a Boston bookkeeper named James Mulligan had located some letters showing that Blaine had sold his influence in Congress to various businesses. One such letter ended with the phrase "burn this letter", from which a popular chant of the Democrats arose - "Burn, burn, burn this letter!" 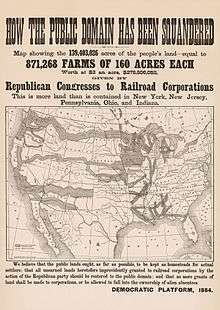 In just one deal, he had received $110,150 (over $1.5 million in 2010 dollars) from the Little Rock and Fort Smith Railroad for securing a federal land grant, among other things. Democrats and anti-Blaine Republicans made unrestrained attacks on his integrity as a result. 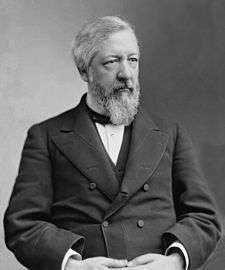 Cleveland, on the other hand, was known as "Grover the Good" for his personal integrity; in the space of the three previous years he had become successively the mayor of Buffalo, New York, and then the governor of the state of New York, cleaning up large amounts of Tammany Hall's graft. Commentator Jeff Jacoby notes that, "Not since George Washington had a candidate for president been so renowned for his rectitude." In July the Republicans found a refutation buried in Cleveland's past. 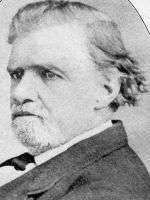 Aided by sermons from a minister named George H. Ball, they charged that Cleveland had fathered an illegitimate child while he was a lawyer in Buffalo. When confronted with the scandal, Cleveland's immediately instructed his supporters to "Above all, tell the truth." 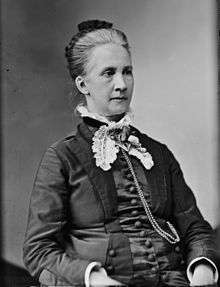 Cleveland admitted to paying child support in 1874 to Maria Crofts Halpin, the woman who claimed he fathered her child, named Oscar Folsom Cleveland. 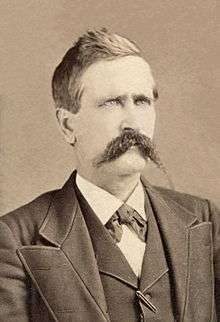 Halpin was involved with several men at the time, including Cleveland's friend and law partner, Oscar Folsom, for whom the child was named. Cleveland did not know which man was the father; he assumed responsibility because he was the only bachelor among them. Shortly before election day, The Republican media published an affidavit from Halpin in which she stated that until she met Cleveland her "life was pure and spotless", and "there is not, and never was, a doubt as to the paternity of our child, and the attempt of Grover Cleveland, or his friends, to couple the name of Oscar Folsom, or any one else, with that boy, for that purpose is simply infamous and false." Republican cartoonists across the land had a field day. In Burke County, Georgia, 895 votes were cast for bolting "Whig Republican" electors for president (they were not counted for Blaine). Map of presidential election results by county. Map of Democratic presidential election results by county. Map of Republican presidential election results by county. Map of "other" presidential election results by county. ↑ An American Almanac and Treasury of Facts, Statistical, Financial, and Political, for the year 1886. Ainsworth R. Spofford. p. 241. ↑ "FUSION AND CONFUSION. - View Article - NYTimes.com". New York Times. Retrieved 2014-07-09. ↑ "Ourcampaigns.com". Ourcampaigns.com. Retrieved 2014-07-09. ↑ "WITHDRAWS IN FAVOR OF ST. JOHN. - View Article - NYTimes.com". New York Times. Retrieved 2014-07-09. ↑ Henry F. Graff (2002). 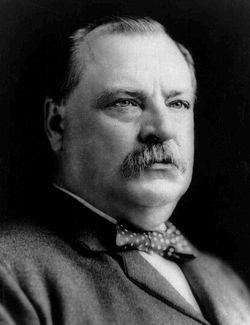 Grover Cleveland: The American Presidents Series: The 22nd and 24th President, 1885-1889 and 1893-1897. Henry Holt and Company. pp. 61–63. ↑ Lachman, Charles (2014). A Secret Life. Skyhorse Publishing. pp. 285–288. ↑ "Maria Halpin's Affidavit" (PDF). Democrat and Chronicle (Rochester, NY). Oct 31, 1884. p. 1. ↑ "That Scandal". Wichita Daily Eagle (Wichita, Kansas). Nov 2, 1884. p. 2. Retrieved July 30, 2014. ↑ "HarpWeek | Elections | 1884 Overview". Elections.harpweek.com. Retrieved 2014-07-09. 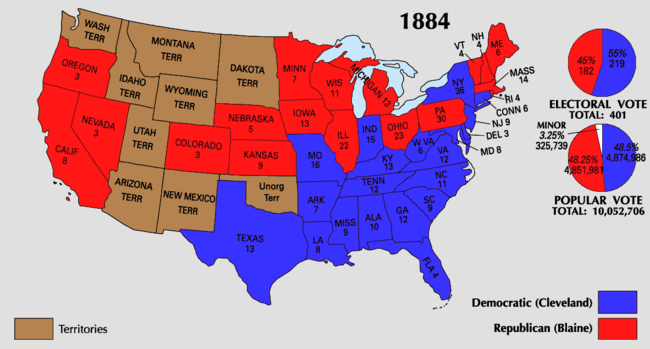 ↑ "1884 Presidential General Election Data - National". Retrieved May 7, 2013. Hirsch, Mark. "Election of 1884," in History of Presidential Elections: Volume III 1848-1896, ed. Arthur Schlesinger and Fred Israel (1971), 3:1578. Rines, George Edwin, ed. (1920). "Rum, Romanism and Rebellion". Encyclopedia Americana.